What a beautiful day! I took the subway up to West Harlem to meet my friend Jacob. He gave me his Mission Bicycle fixed gear bike to use during my entire stay. 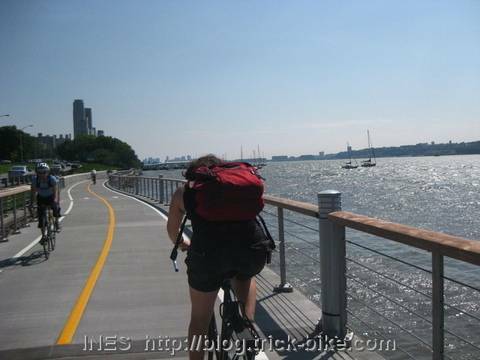 We rode towards the Hudson river to have lunch together at the river shore. 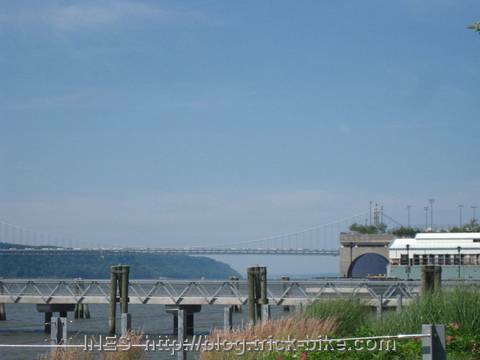 We could see the George Washington Bridge and New Jersey on the other side of the Hudson. 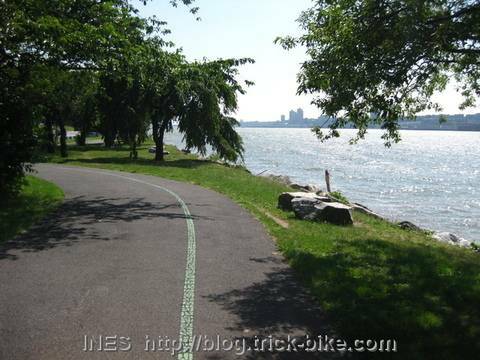 Then I started cycling South along the nice Hudson bicycle greenway cycling path. 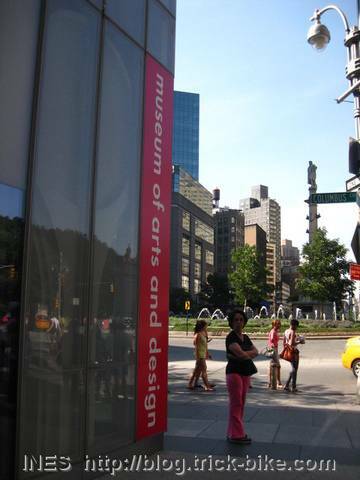 Then I went to the new museum of arts and design (MAD) on the South West corner of Central Park. They were currently curating a bicycle exhibition. They had hand built bicycles displayed. 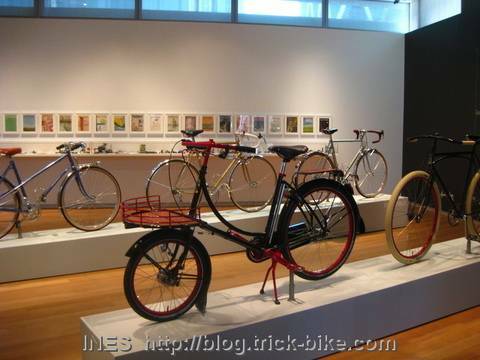 But as it is a museum of design I was expecting some very creative designs like at see at the bicycle trade shows that get design awards. 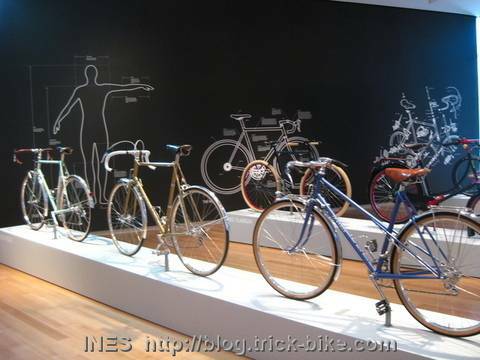 But in the museum they had regular bicycles that were beautifully made. 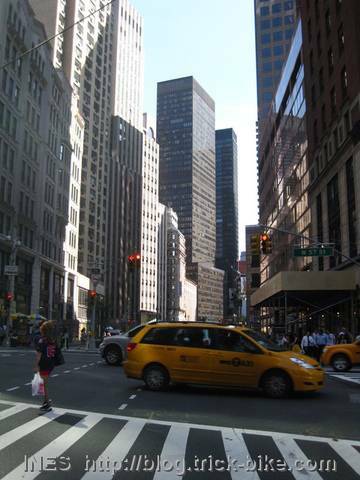 After that I cycled through Manhattan to the BFF headquarter. 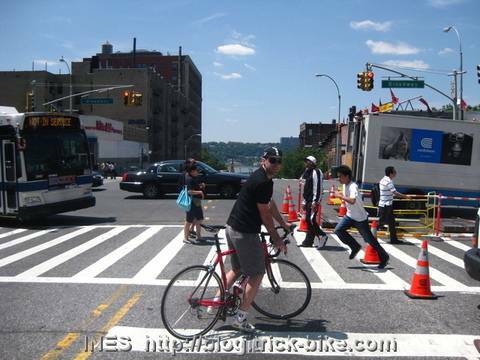 New York city has improved its cycling infrastructure. 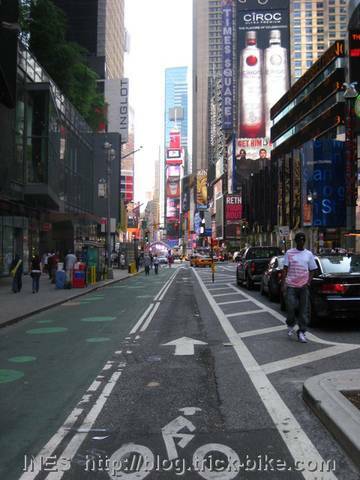 There are special bicycle lanes painted in green color on many avenues and streets. 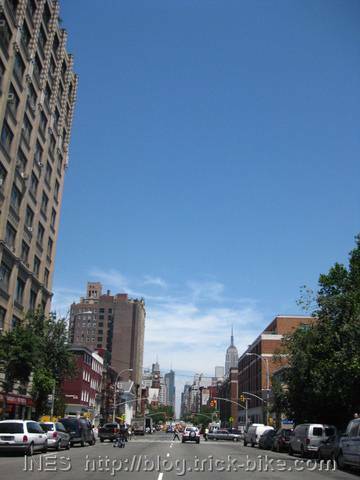 Like even on Broadway heading down to Times Square. But Brendt and the others from BFF were quite busy with last minute preparations. So I went to a meet an artistic cycling friend at her design studio karlssonwilker. We probably had last seen and spoken over 12 years ago because that is when she had stopped cycling. I did not even know she was living in New York. That is the great thing about social media like facebook. 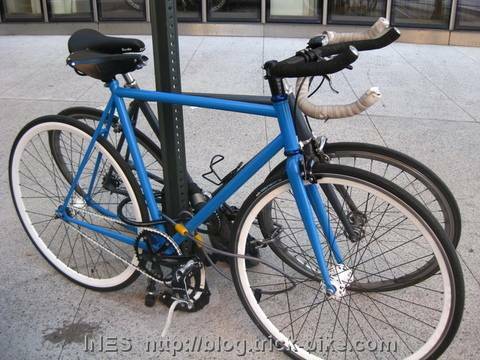 This entry was posted on Dienstag, Juni 15th, 2010 at 13:06 and is filed under Cycling, Fixed Gear, USA. You can follow any responses to this entry through the RSS 2.0 feed. Both comments and pings are currently closed. Nice weather nice place nice bike!